Election Season 2016 was stressful. 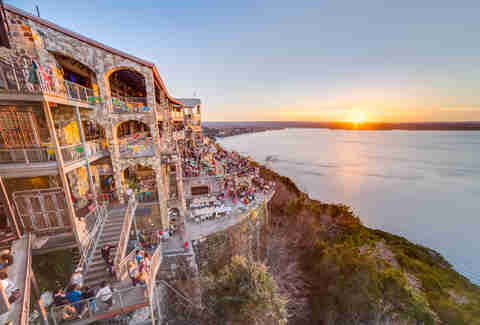 So stressful, in fact, that we forgot exactly how beautiful Austin really is. 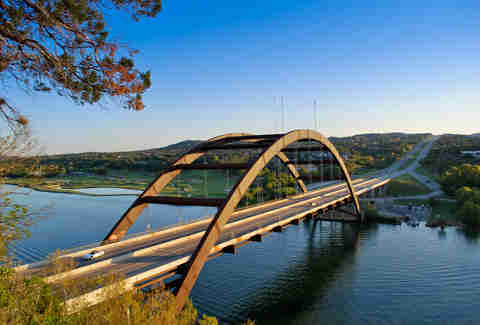 Whether you’re a fan of art, architecture, or natural beauty, Austin has got you covered on the visual front. Get out into the city this weekend and remember how great it truly is. While Waller Creek isn’t somewhere you’d typically wander, when the tunnel is transformed during events like the Creek Show, it’s an aesthetic force to be reckoned with. May that force be with you. 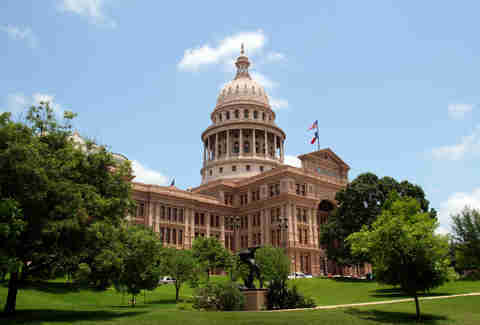 Even if you don’t agree with the decisions being made inside the Texas Capitol (and hell, who can blame you? ), there’s no denying the beauty of the building and its sprawling green grounds, which are enjoyable from a visual standpoint whether you’re picnicking or... um... picketing. Want to get outdoors? 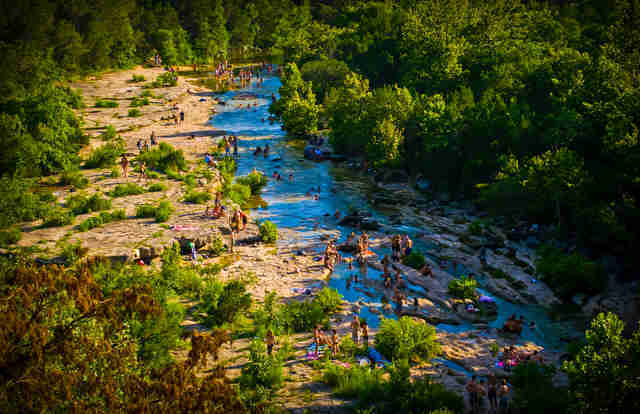 Look no further than The Barton Creek Greenbelt’s 809 acres of wow-inducing trails, trees, hills, and swimming holes. All you need is your camera, your bathing suit, and, you know, maybe your red cup. 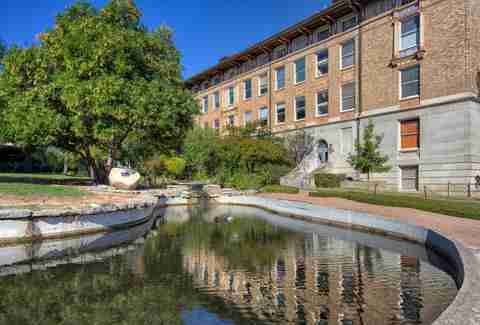 While the turtle pond serves as a relaxing spot to de-stress for students, for non-collegiate (i.e. 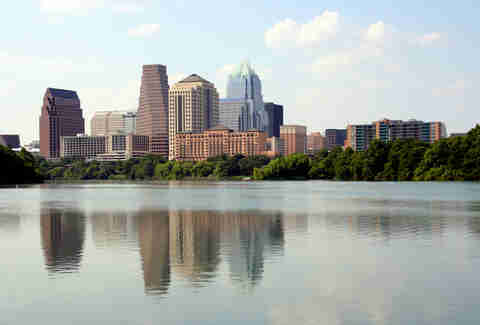 old) Austinites, the wildlife alone is worth the visit. After all, like most things, it’s probably more enjoyable when you don’t have to worry about cramming for a chemistry test. 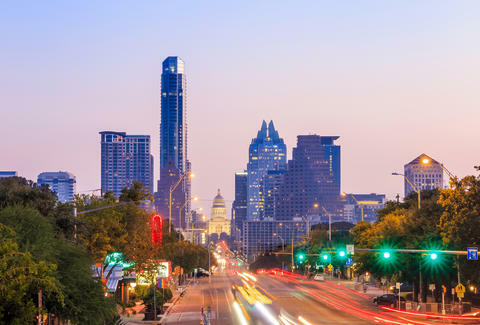 A neighborhood with a history spanning over 100 years, Hyde Park boasts homes ranging from huge Victorian houses to funky little bungalows, all of which combine with weird alleys, tucked-away parks and towering trees for a truly unique, truly Austin, experience. Trust us: from a sightseeing perspective alone, these streets are worth wandering. At this charmingly retro-feeling natural spring, the water is perpetually 68 degrees, and the vibe is perpetually great. Whether you’re lying out on the lawn, floating in the water, or cannonballing off the diving board (those six year olds will be so impressed), there’s no arguing the fact that swimming pools don’t get more scenic than this. 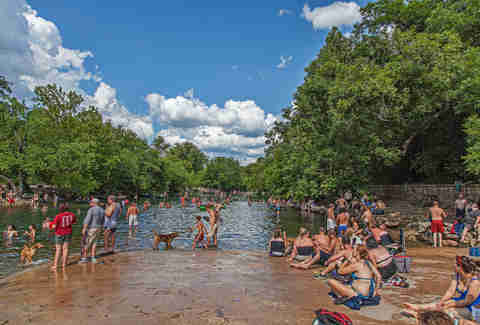 Adjacent to Barton Springs sits this dog-friendly swimming hole, where you can enjoy the glorious setting (sans charge) while Fido cools off with an aquatic version of fetch. 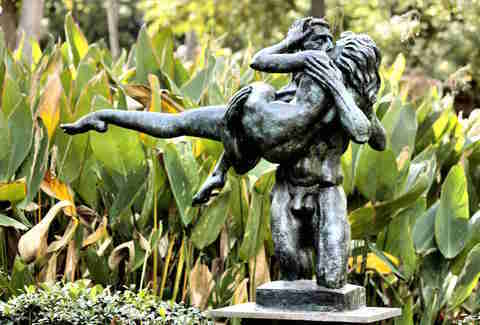 Soak up some culture and sun simultaneously with a stroll through the UMLAUF Sculpture Garden, which boasts not only impressive works by Charles Umlauf but some pretty lush vegetation as well. 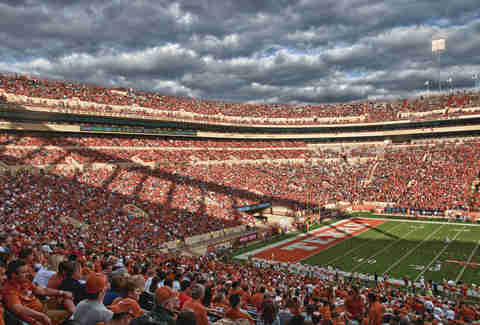 It’s not the most traditional type of beauty, but any Texas fan is sure to love the sight of a full stadium of burnt-orange-clad Austinites -- especially, during evening games, under a burnt-orange sky. Your 5pm commute may be brutal, but if you’re stuck in bumper-to-bumper traffic with a view of Town Lake, hey -- things could be worse. And for a more pleasant perspective, bid sayonara to the rest of the workforce (suckers! ), duck out early, and enjoy a view of the lake while... you know... on the lake. After all, kayaks > cubicles. Sunrise, sunset, and anytime in between. What we were just describing there were the best times to head up Mt. 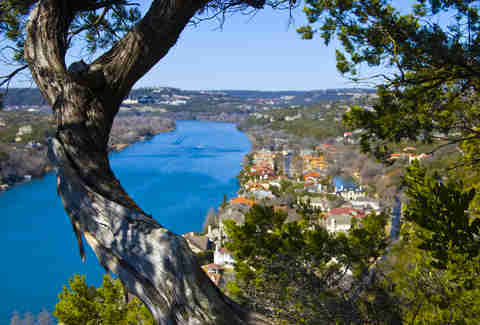 Bonnell -- the highest point within the city limits -- to enjoy a pretty amazing look at Austin. It’s totally worth the 106 steps, swear. 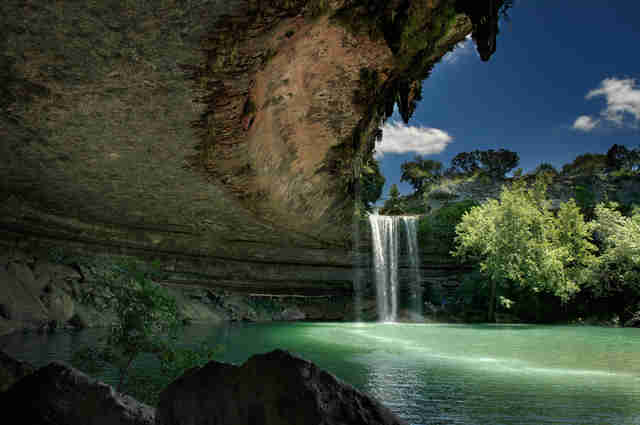 Though technically not located within the city limits, a visit to the lagoon-esque Hamilton Pool is totally worth the drive and, typically, the long wait in line. 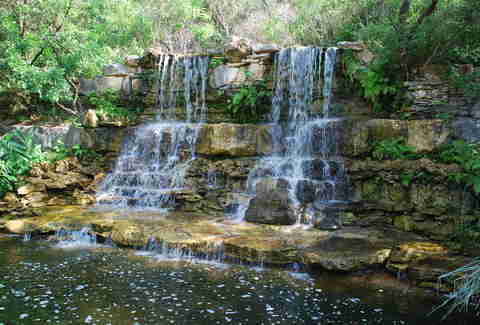 This is one situation in which we suggest you do go chasing waterfalls. 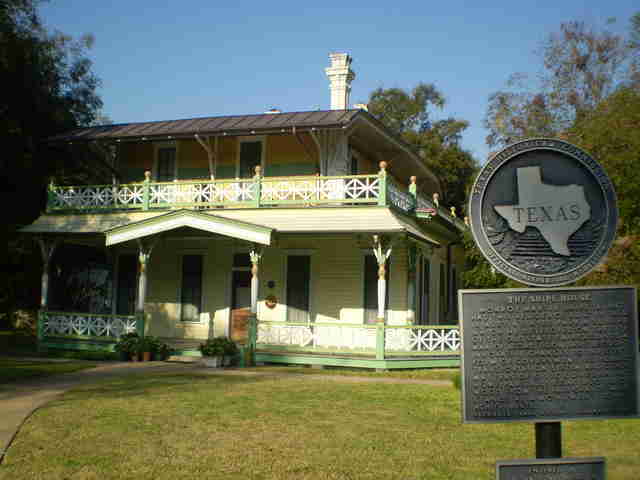 Named for the former First Lady of the United States, the Center is focused on preserving the native plants of Texas... and, as a bonus, said plants are pretty easy on the eyes, as well. 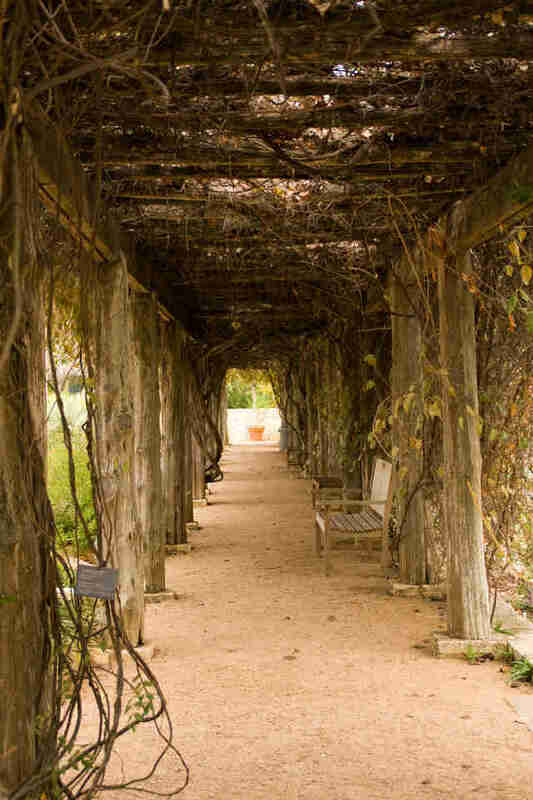 We suggest you take an afternoon to swing by, stop, and smell the roses... or bluebonnets or whatever. We’re not botanists. Between the Frost Bank Tower and... um... the other towers, Austin has a pretty memorable -- plus pretty pretty -- skyline. And the best part? Due to constant condo construction (cue the complaints of locals), it’s constantly growing. What can we say? She cleans up nice. Get your flower (and fern... probably ficus) fix at this not-so-secret garden, located right in the center of the city on Barton Springs Rd. Whether you’re crossing the bridge or admiring it from afar, this impressive architectural feat -- when accompanied by the equally impressive natural scenery surrounding it -- makes for a pretty great photo op. #Nofilter, obviously. 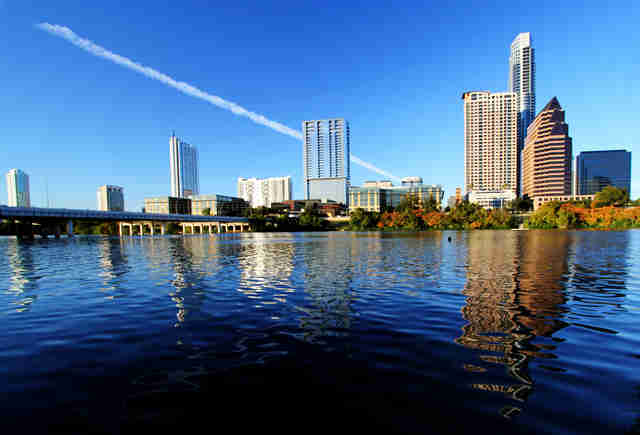 Austin isn’t lacking in the lake department, and now that Travis is a little less empty, your water options are better than ever. Head up to the hills (and maybe indulge your inner tourist, and appetite, with a visit to The Oasis) to reap the full photogenic benefits of this beautiful spot. 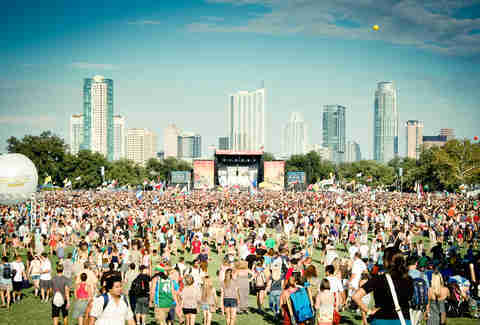 We can whine all we want about Austin City Limits and the aforementioned crowds and jacked-up drink prices ($8 Bud Light -- not FTW), but this city was built on music, and there’s nothing more beautiful than watching visitors and locals gather to soak it all up. 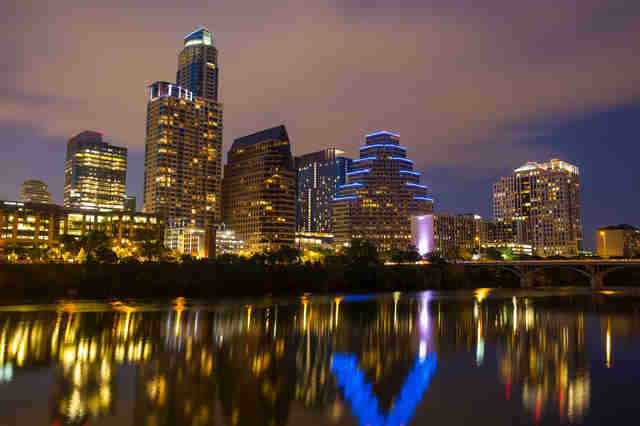 Sam Sumpter is an Austin writer who is in no way trying to imply that the rest of Austin isn't beautiful. Follow her at @Sam_Sumpta.